Kingdom of Ancient Mataram, which refers to a regional capital of this kingdom. Sometimes to distinguish it with the Islamic kingdom of Mataram, which was established in 16-century, the Kingdom of the Central Java Medang usual also called with the name or the Ancient Kingdom of Mataram Hindu Kingdom of Mataram. Start up the kingdom of this adalahPrasasti Mantyasih year 907 in the name of Dyah Balitung mention clearly that the first king of the Kingdom of Medang (Rahyang ta rumuhun ri ri Medang Poh Pitu) Rakai Mataram is the Queen of Sanjaya. Sanjaya own inscription Canggal issued 732 years, but does not mention clearly what the name of his kingdom. Sepeninggal Sanna, countries become garbled. Sanna name is not in the list of the kings version inscription Mantyasih. So he could not the king of the Kingdom of Medang. In general, the historians have mentioned that three powerful dynasty in the Kingdom of Medang, namely Sailendra Sanjaya and Sailendra Sailendra period in Central Java, and Sailendra Isana East Java in the period. The kings of Mataram is 1. Sanjaya, the founder of the Kingdom of Medang 2. Rakai Panangkaran, Sailendra 3. Rakai Panunggalan / Dharanindra 4. Rakai Warak / Samaragrawira 5. Rakai Garung / Samaratungga 6. Rakai lure Pramodawardhani husband, Sailendra initial rise of Sanjaya 7. Rakai Kayuwangi / Dyah Lokapala 8. Rakai Watuhumalang 9. Rakai Watukura Dyah Balitung 10. Mpu Sedah 11. Rakai Researcher Dyah Tulodong 12. Rakai Sumba Dyah wawa 13. Mpu Sindok, the early period of East Java 14. Sri Sri Lokapala husband Isanatunggawijaya 16. Dharmawangsa Teguh, the Kingdom of Medang ends Medang Kingdom is renowned as agrarian country, while saingannya, namely the Kingdom of Sriwijaya was maritime countries. 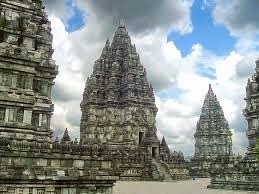 Medang official religion in the Kingdom of the Hindu Sanjaya is the flow of Siwa. Some historians call the Kingdom of Medang collapse in the year 1006, while the other mentions last year 1016.Raja Medang is Dharmawangsa Teguh, great-great Mpu SindokKingdom dirikan then he called the common name of the Kingdom of Kahuripan. 0 Response to "Ancient Mataram Kingdom"